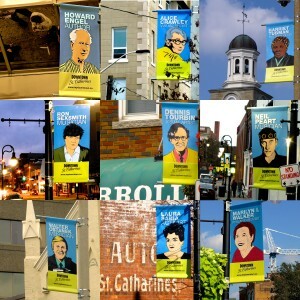 A photo montage of banners installed on lamp-posts in downtown St. Catharines (Niagara Canada). 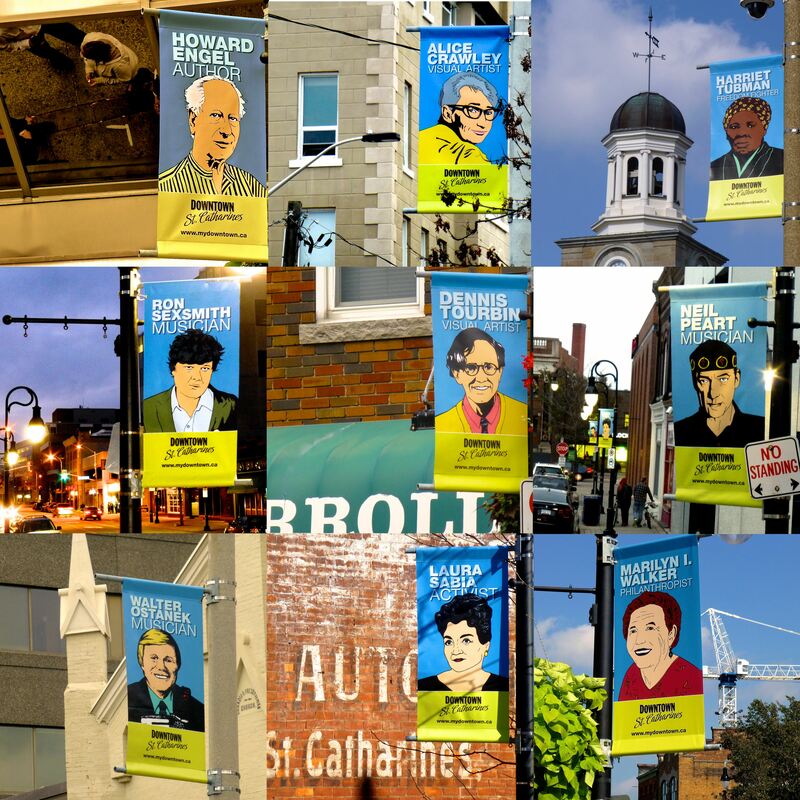 The banners depict local heroes from creative arts, peace and social justice achievements. Backgrounds often relate to the subject’s role or medium. The photo montage was donated to the artist run Niagara Artist’s Centre (NAC) for a fund raising sale, “Small Feats” a collection of 200 works one-foot square donated by artists. I shot the banners “in situ” over a six month period. The banners were painted by Niagara area artists members of the CRAM gallery and/or NAC. This entry was posted in Photos and tagged Art in public places by donalexander. Bookmark the permalink.